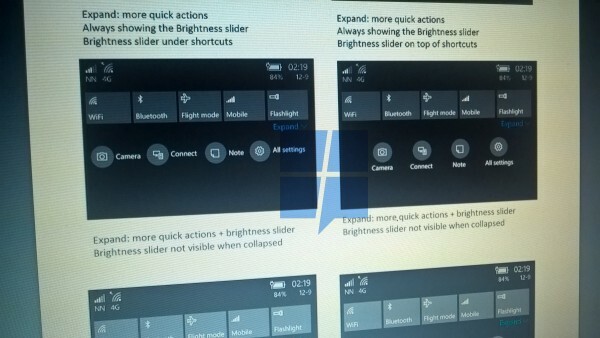 MSPoweruser citing foreign media reports, Microsoft will be the future of Windows 10 Mobile System Action Center to be substantially improved. 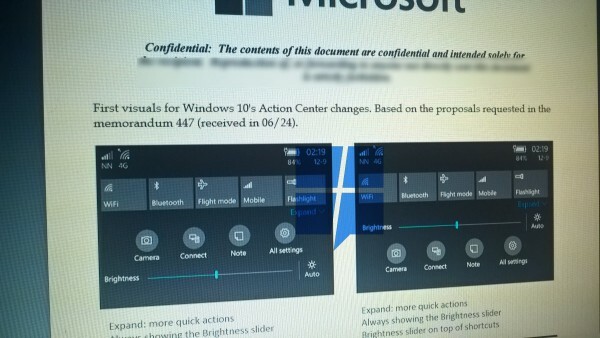 According to an internal document shows that Microsoft plans to use the brightness slider to separate the & ldquo; Actions & rdquo; and & ldquo; Toggles & rdquo; button, the new changes reportedly based on an internal feedback, make Action Center to become more in line with public demand. 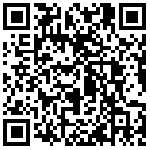 In addition & ldquo; Actions & rdquo; or & ldquo; application shortcuts & rdquo; this camera, notes, Connect and all settings options with the circular mark to distinguish, while WiFi, Bluetooth, airplane mode, cellular data, and flash is still at the top with a square design.